Rugged monitors are used in many places. Some of these places include industrial areas, commercial and military applications. There are many environments where one can find such touch display technologies such as, ATMs, shopping mall kiosks, airports, manufacturing centers, outdoor system interfaces, mining, military, the transportation industry and much more. Our displays are useful and yet unobtrusive. Our industrial display monitor technology have expanded into commercial and industrial fields that require equipment designed to take a beating and last. When you look at the modern day computing, many operations seems virtually impossible without the use of touch screen monitors. Ruggedized display technology has transformed many industries, becoming an indispensable part of our digital world. Depending on the machines we use on our daily basis, be it a desktop computer, laptop, mobile or any other hand devices, these tough surface panels have been the key factor that made system management and usage in harsh environments a more feasible and less expensive venture. The touchscreen technology is an invention that has come a long way over the years. It was invented by Jason Ford who is from Elo Touch Systems. In 1971, Doctor Sam Hurst who is the company founder at the same time an instructor came up with the first touch sensor. This sensor was further researched by the university’s research foundation and later became a subject that geared towards milestone for the further development of touchscreen technology. Three years later, a touch screen desktop device that almost looks like the ones we use today was developed by the same person. The only difference was that the latest technology came with a transparent surface. By the year 1977, five-wire resistive technology was invented which is now the most widely used touchscreen technology the world over. As time passed, demand in the industry created the need for rugged display solutions. Faytech North America has successfully entered this marketplace and become a global provider for many businesses with commercial and industrial applications requiring durable and tough surface solutions. The different technologies behind touchscreen monitors include resistive touchscreens, capacitive systems, infrared and surface acoustic wave technology. The types of touchscreen differ in one way or another with regards to their efficiency at sensing. 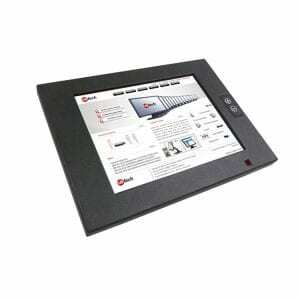 Our rugged touch screen systems are designed to withstand rough treatment, scratches, and liquid contaminants. 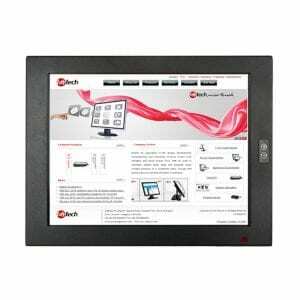 Touch monitors are very reliable and accurate devices, and it has become relatively cheap for rugged monitor manufacturers to develop them. They offer highly legible text, clear resolution; razor sharp pictures and a brightness exceeding 500 cd/m2. Furthermore, the models designed by faytech include a lot of extra features. 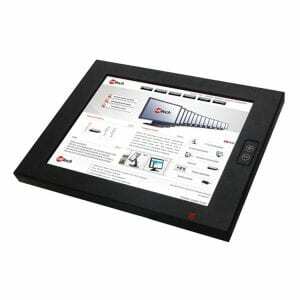 The monitor is easily made to function by hand, and its five wire touch sensitive panel is hardly affected by wetness or dirt. In fact, the screen can be pressed at least 3 million times on any part of the screen without losing any speed of reaction. 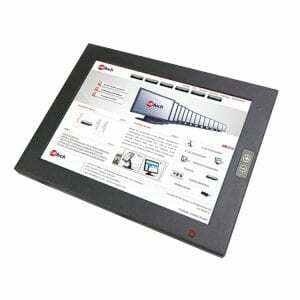 There are two kinds of touch screens: the all-in-one system, and secondly, the stand-alone display. Both are quite affordable and offer excellent navigability to the user. The touch sensor is possibly the most important part of the hardware. It is a thin piece of transparent laminated sheet stuck onto the monitor and securely wired to the computer system. Once the touchscreen is plugged in, and the appropriate software drivers are run it begins to operate normally. 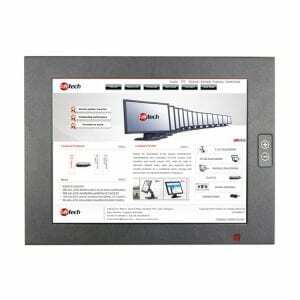 Touch screen monitors are perfect for most production lines or other manufacturing environments. These areas are often very dirty or dusty and using a standard keyboard and mouse may not be suitable. The screen is usually able to withstand the dirt and damp that always affect other hardware. They are made to be incredibly durable, which is a beneficial feature as they are often susceptible to heavy handling. These types of computers work by incorporating a thin membrane in front of the glass screen. This membrane has a see-through metallic covering. When this metallic surface is touched by an individual, it stops the electrical circuit which in turn, engages the internal software which can locate the position of the touch on the monitor. For less intense-use industries, where damage from routine use is not an issue, resistive touch screens are ideal as although these can be easily scratched since they are highly reactive pieces of equipment. For heavier industries, capacitive touchscreen is more suitable because the reactive materials that are inside the glass screen remain relatively unaffected by surface scratches. They retain a fully functional sensitivity to input commands. Due to technological advances and further applications of touch technology, rugged touch monitors are now more affordable and productive than ever. 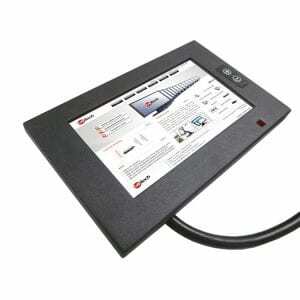 Ease of use: The monitor has an interactive interface that enables clients to operate without adequate skills. Employees can also perform multiple tasks hence saving a lot of time, energy, and money. Speed: The active time for users is less compared to other conventional types of input methods such as mouse and keyboard. This is because the screen allows users to access applications directly. Device Size: The overall size of the workstation can be reduced by combining data input devices with the monitor. Using large touch screen monitor can let one set up computer systems in areas where there is minimal space. Assistive technology: The touch screens assist users with physical problems that might need them to apply other input methods, such as mouse and keyboard to operate efficiently. What does faytech North America specialize in? faytech North America is the New York distribution center for all faytech products. faytech specializes in the design, development, manufacturing and, marketing of specific computing solutions such as Touch Screen Computers, Embedded Computers, Industrial PCs, Industrial Computers, Resistive Touch PCs, and Computer Kiosks. In addition we offer various touchscreen display solutions: Touch Screen Monitors, Capacitive Touch Screens, IP65 Displays, High Brightness Displays, Sunlight Readable Displays, Industrial Monitors, Resistive Monitors, and Rugged Monitors. faytech also customizes projects for our clients throughout North America, South America, Europe, Africa, and Asia. Whether it is finding the ideal product for your business, to the installation of the products or to technical support, our entire team works hard to always provide our customers with the best products and service on the market. At faytech North America, we guarantee customer satisfaction. Our staff is fully trained and knowledgeable about every product we offer, ready to assist you with whatever information is needed. Feel free to contact us at any time with any questions, or to learn more about a faytech high-quality display solutions for your company.